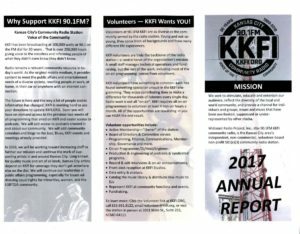 2017 was a banner year for KKFI with many fund raising benefits and public affairs events. 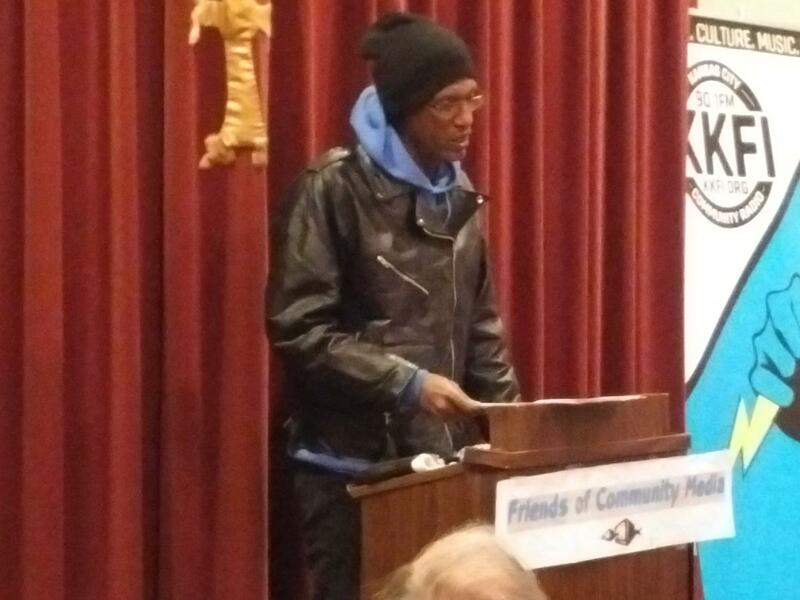 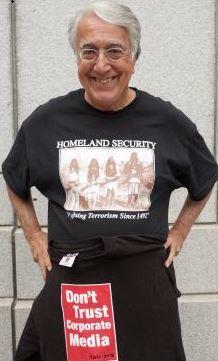 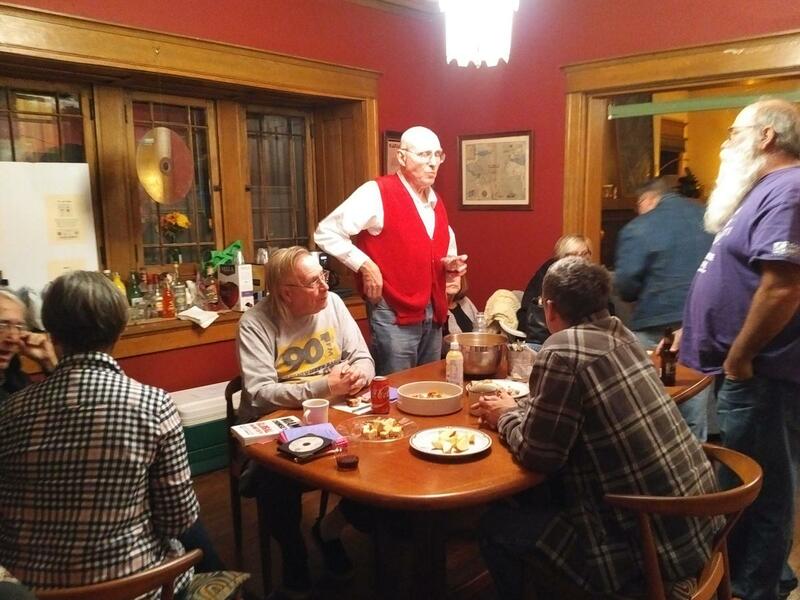 Public awareness of the station reached a high level, and the station’s community radio goal of serving the community was met. 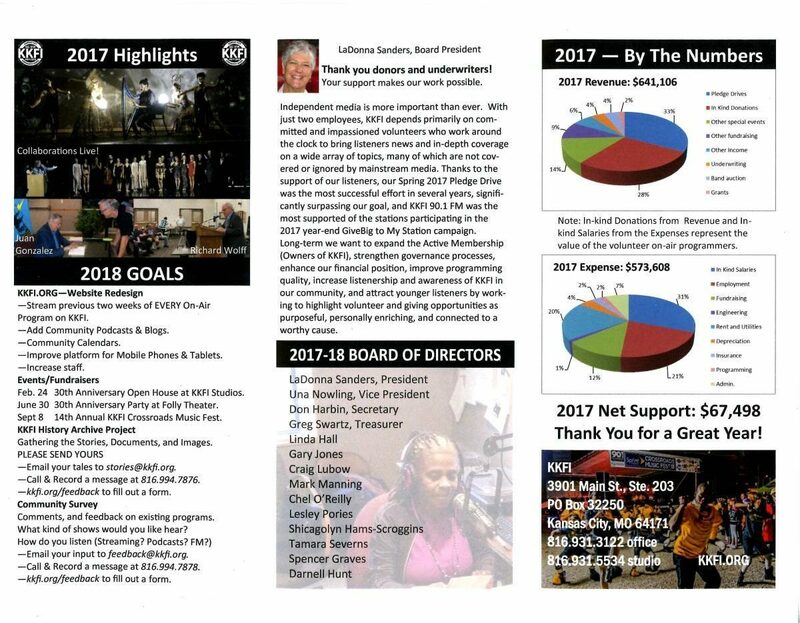 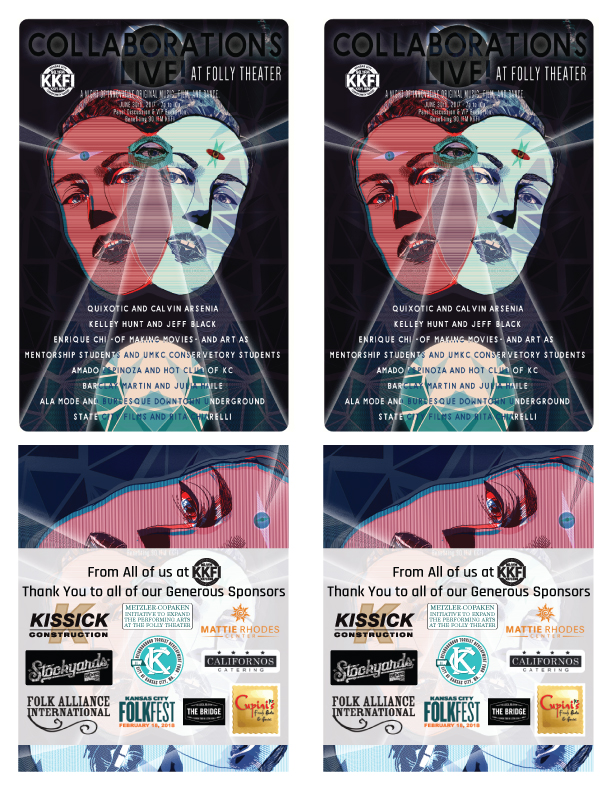 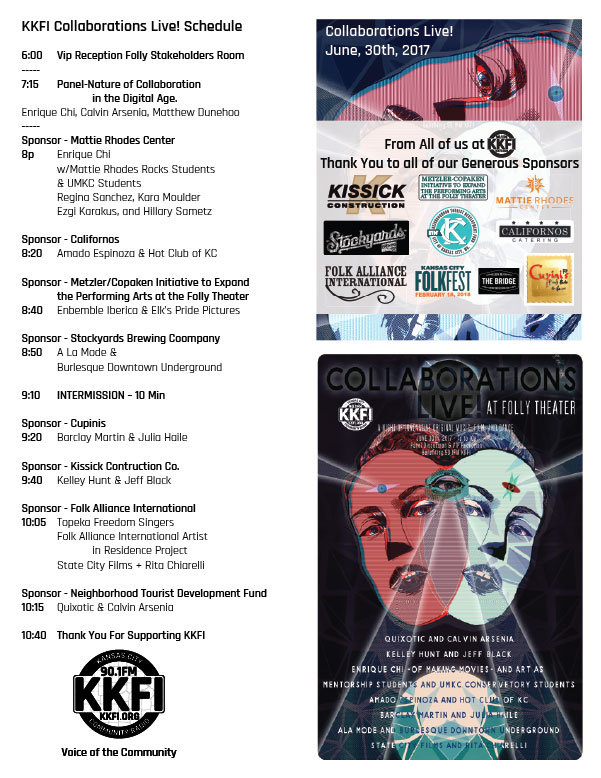 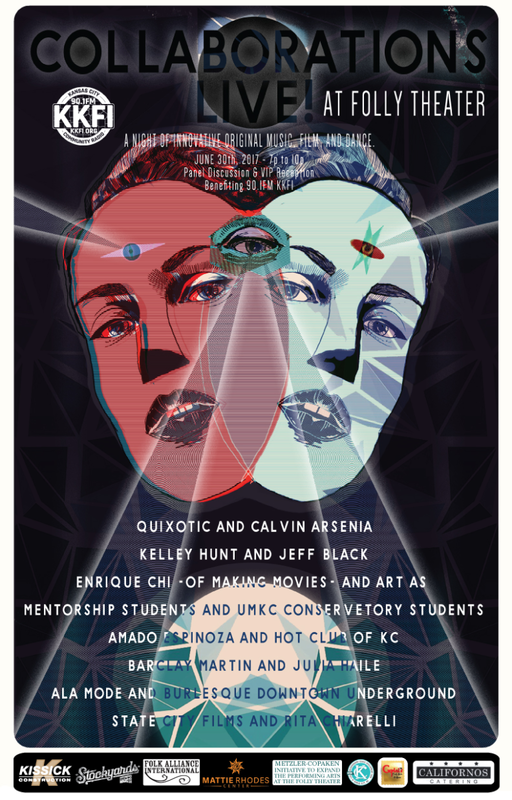 On June 30th 2017, KKFI presented an amazing multi-artist, multi-media, multi-cultural presentation at the Historic Folly Theater in downtown Kansas City! 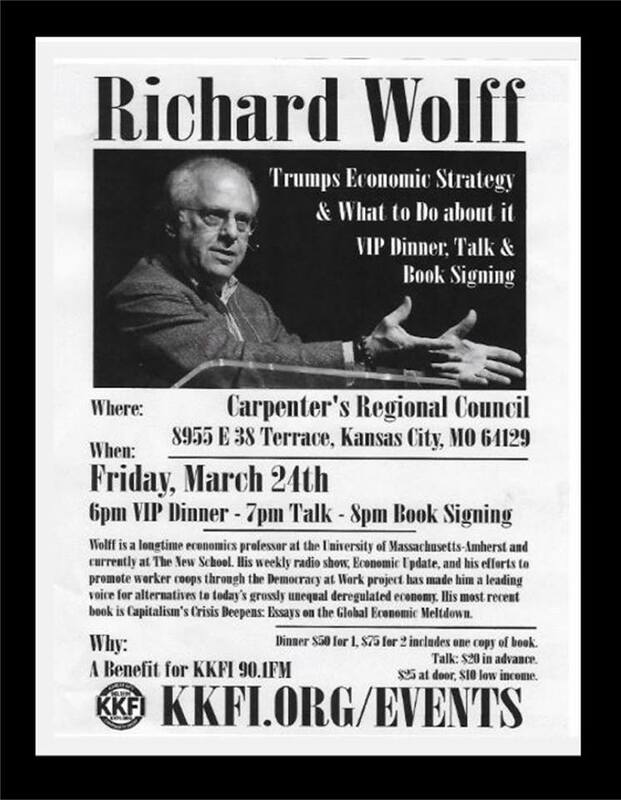 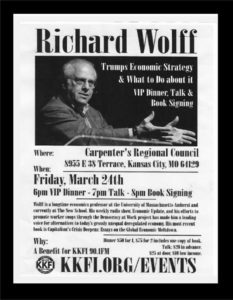 A KKFI benefit featuring Richard Wolff took place on Friday, March 24, 2017 at the Carpenters Regional Council. 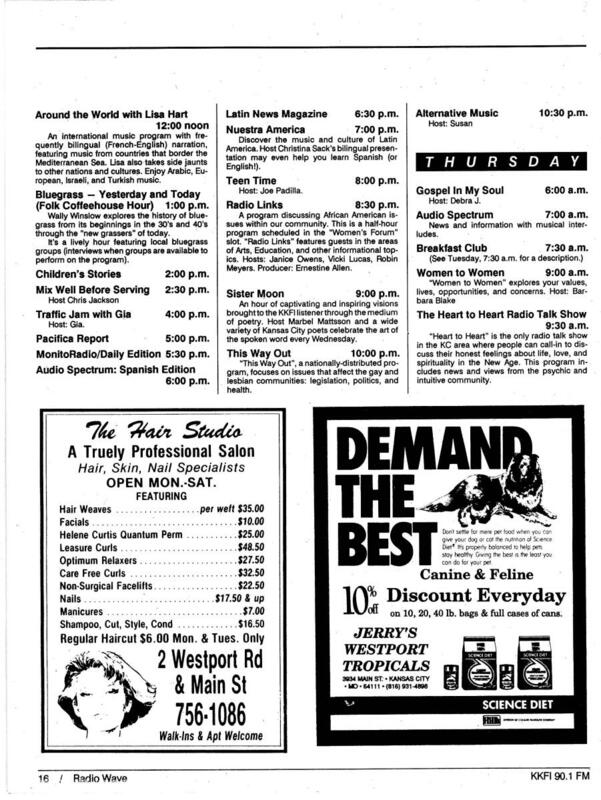 Wolff has had weekly radios show on the Pacifica and Progressive radio networks. 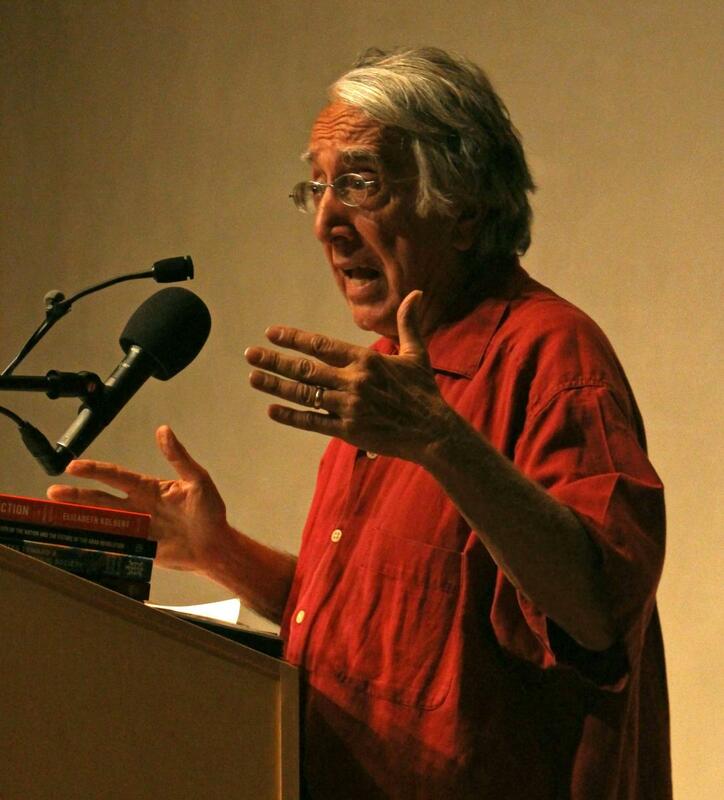 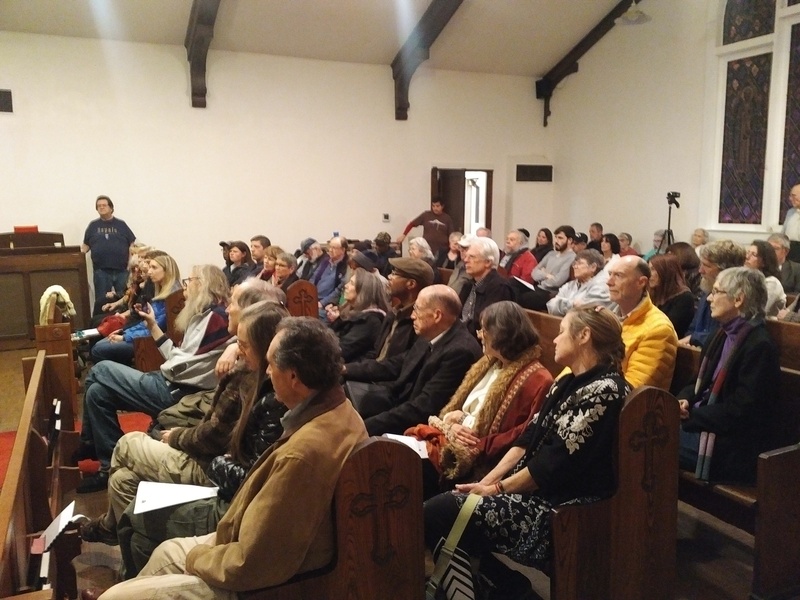 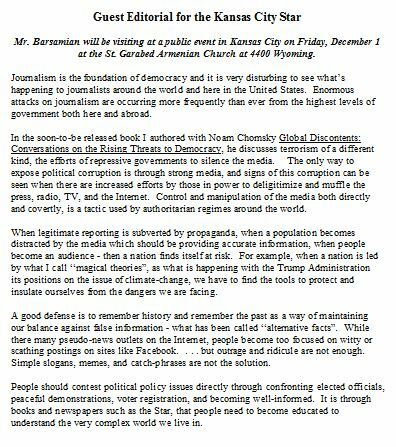 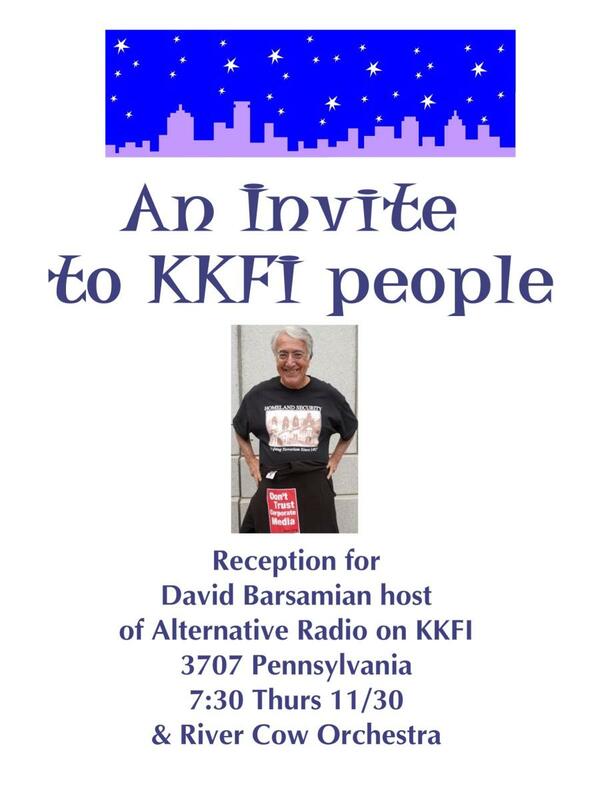 Friends of Community Media and KKFI presented a program at St. Garabad Armenian Church with David Barsamian, host of “Alternative Radio” from Boulder, Colorado – which airs on KKFI. 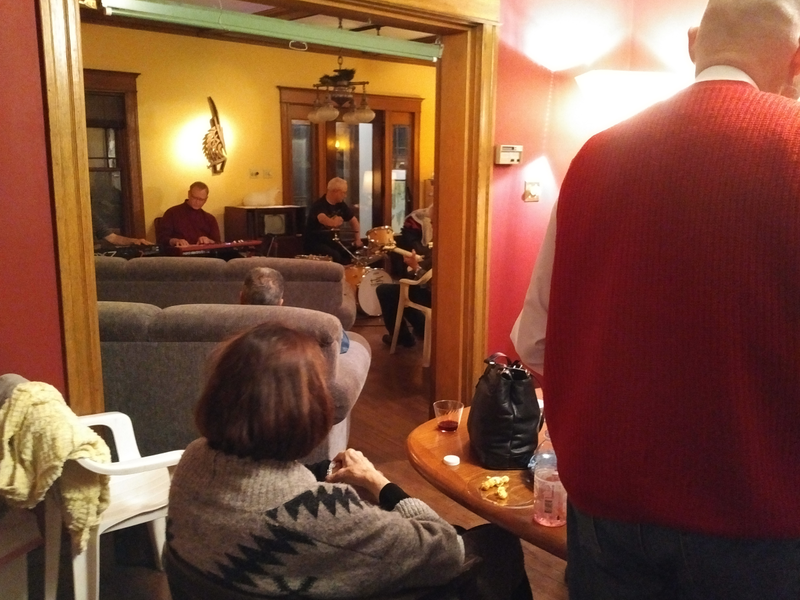 A reception followed with a local band, “The River Cow Orchestra”. 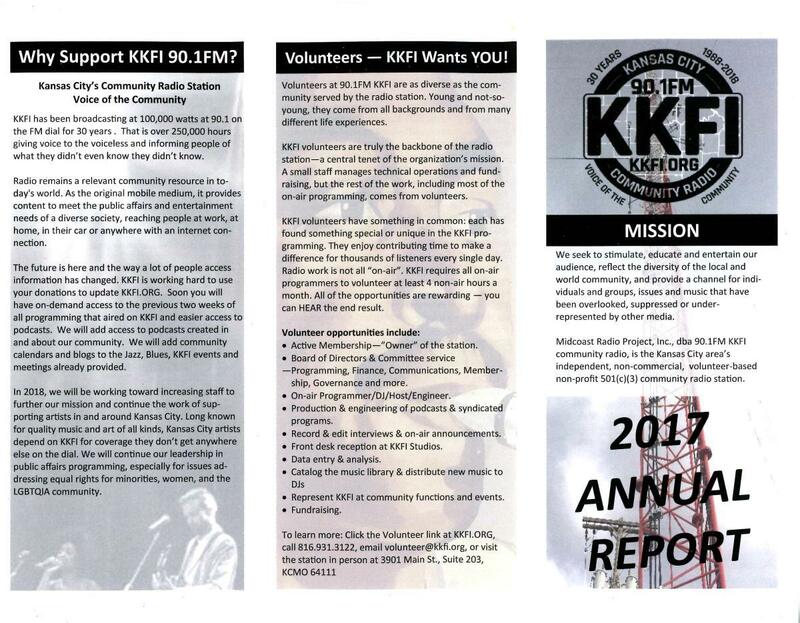 The 2017 KKFI annual report shows how far the station has come from its humble beginnings in 1977!